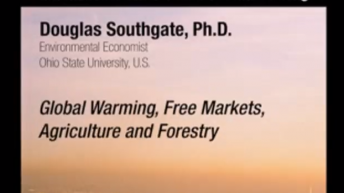 An environmental economist Douglas Southgate has been a faculty member in Ohio State University’s Department of Agricultural, Environmental, and Development Economics since 1980. His research focuses on tropical deforestation, watershed deterioration, and other environmental problems arising in developing countries. 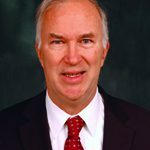 Among his recent publications is The World Food Economy, coauthored by Douglas Graham and Luther Tweeten and released by Blackwell Publishing in October 2006. Southgate has consulted for the Ford Foundation, Inter-American Development Bank, U.S. Agency for International Development (USAID), and World Bank in 16 African, Caribbean, and Latin American nations and served on the Tropical Ecosystems Directorate of the U.S. Man and the Biosphere Program during the late 1980s. In 1987, he was a Fulbright Research Fellow in Ecuador. He returned to the same country in 1990 to begin a Joint Career Corps assignment with USAID, which concluded in 1993. 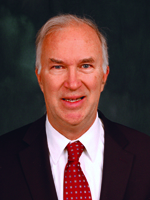 During the 1990s, he directed Ohio State’s Latin American Studies Program.